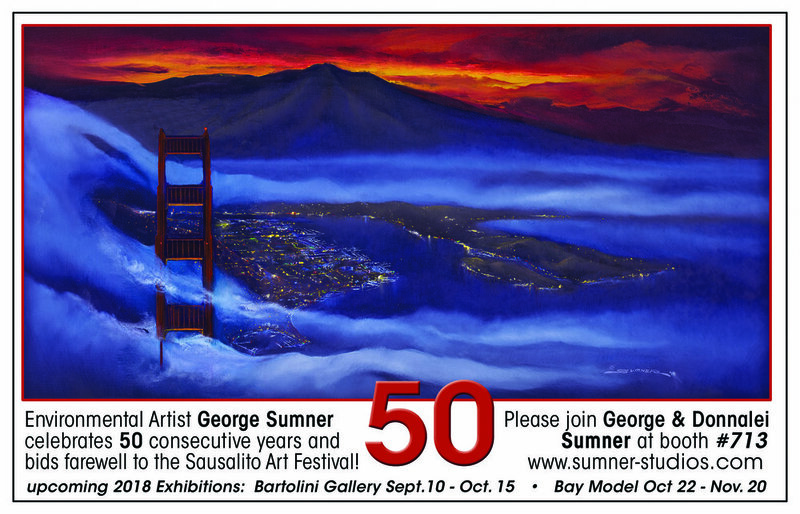 Original Oil by Internationally Respected Environmental Artist George Sumner - Featured in the Smithsonian Exhibition "Ocean Planet" in the Private Collection of Sir Michael Muldoon. In support of The Cultural Affairs Services League at Falkirk Cultural Center - Environmentalist George Sumner and Wife Donnalei have installed 16 large oil paintings of marine life, joining fellow artists and environmental lecturers for a six week (March 17th - April 29th) exhibition Titled "Living Oceans". Please join George & Donnalei Sumner at 6:00pm on March 17th for detailed stories of specific paintings and a long and colorful art career.